Citation VARRONIA CURASSAVICA Jacquin, Enum. Syst. Pl. 14. 1760. Cordia curassavica Cordia curassavica (Jacquin) Roemer & Schultes, Syst. Veg. 4: 460. 1819. BASIONYM: Varronia curassavica Jacquin 1760. Cordia brevispicata Cordia brevispicata M. Martens & Galeotti, Bull. Acad. Roy. Sci. Bruxelles 11(2): 331. 1844. TYPE: MEXICO: Puebla: Tehuacán, 1840, Galeotti 7192 (holotype: BR; isotypes: BR, G, K). 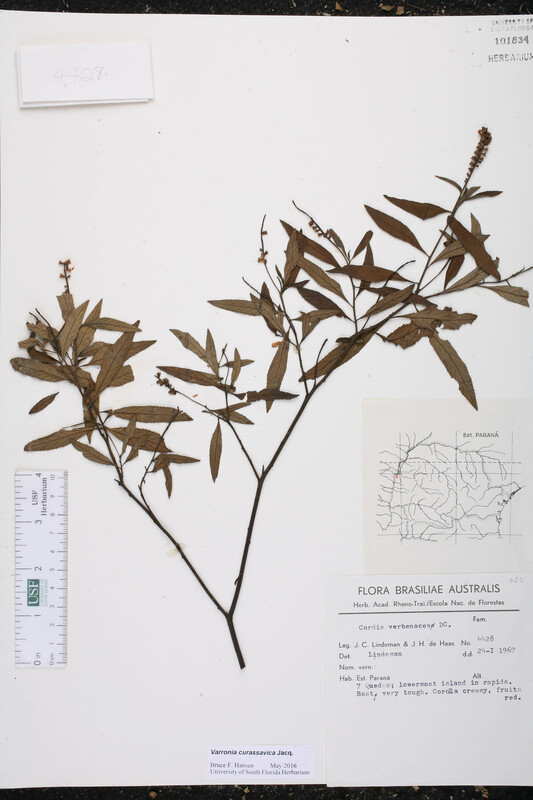 Cordia brevispicata var. hypomalaca Cordia brevispicata M. Martens & Galeotti, var. hypomalaca Greenman, Publ. Field Mus. Nat. Hist., Bot. Ser. 2: 338. 1912. TYPE: MEXICO: Oaxaca: Cerro San Felipe, 30 Jun 1907, Conzatti 1831 (holotype: F; isotypes: F, GH). Cordia chacoensis Cordia chacoensis Chodat, Bull. Soc. Bot. Genève, ser. 2. 12: 218. 1921. TYPE: PARAGUAY: Without data, Aug 1901, Hassler 7248 (holotype: G; isotype: F). Cordia chepensis Cordia chepensis Pittier, Contr. U.S. Natl. Herb. 18: 253. 1917. 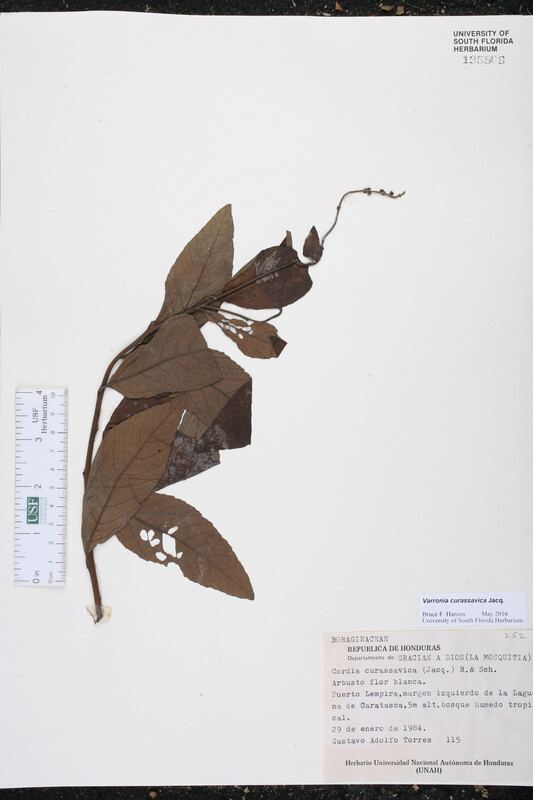 TYPE: PANAMA: Chepo, 8 Oct 1911, Pittier 4511 (holotype: US). 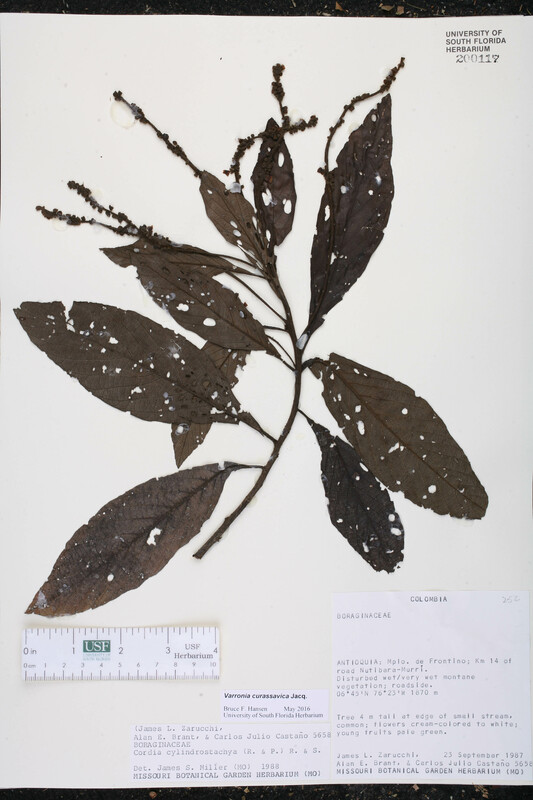 Cordia cylindrostachya var. 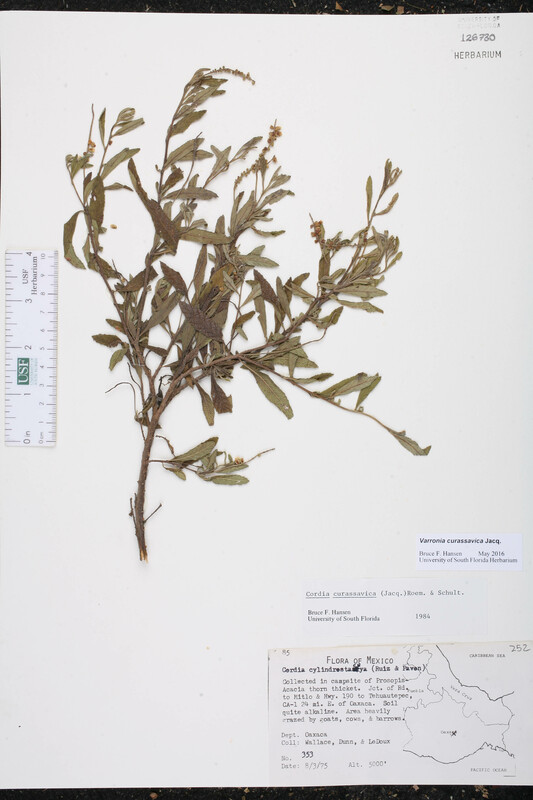 graveolens Cordia cylindrostachya (Ruiz López & Pavón) Roemer & Schultes, var. 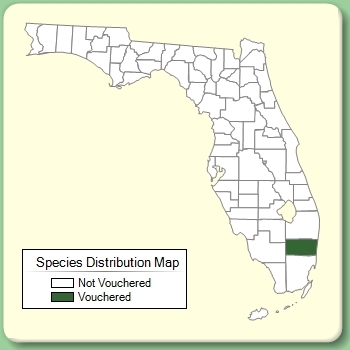 graveolens (Kunth) Grisebach, Fl. Brit. W.I. 480. 1861. 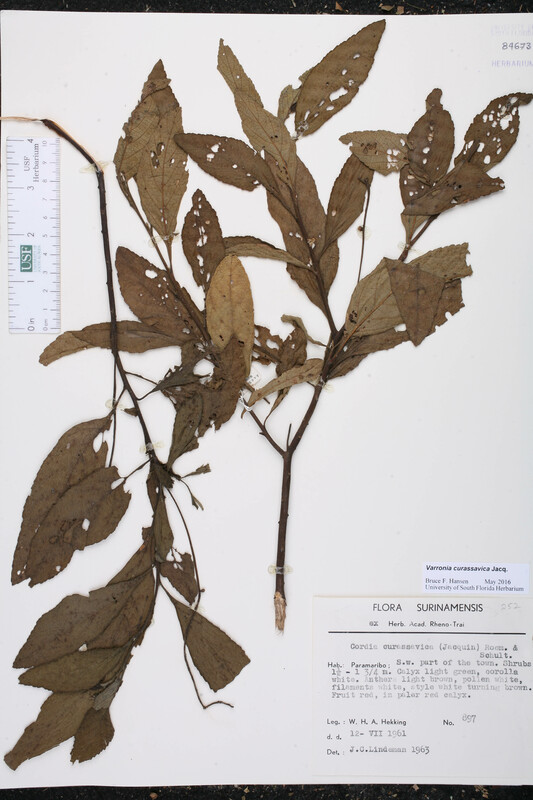 BASIONYM: Cordia graveolens Kunth 1819. 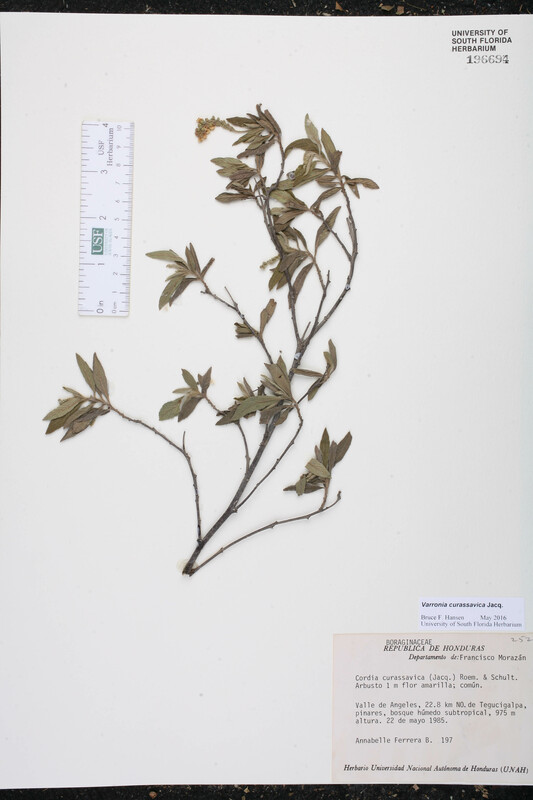 Cordia cylindrostachya var. interrupta Cordia cylindrostachya (Ruiz López & Pavón) Roemer & Schultes, var. interrupta (Alph. de Candolle) Grisebach, Fl. Brit. W.I. 480. 1861. 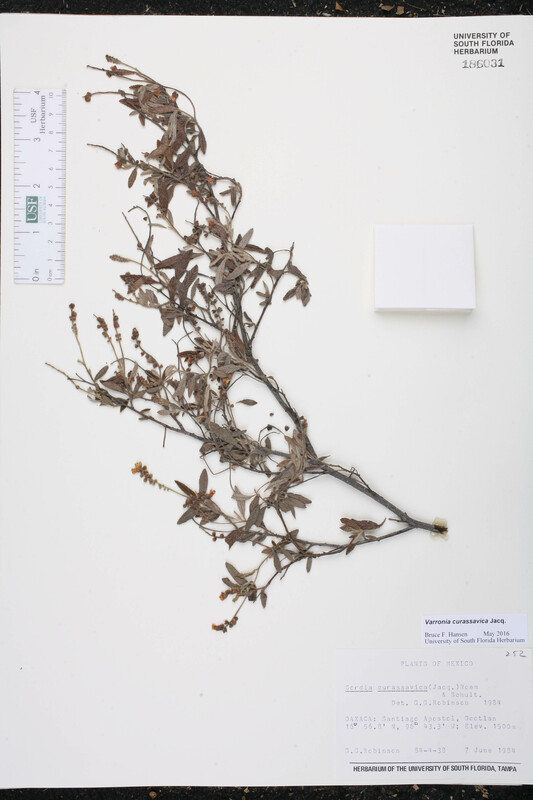 BASIONYM: Cordia interrupta Alph. de Candolle 1845. 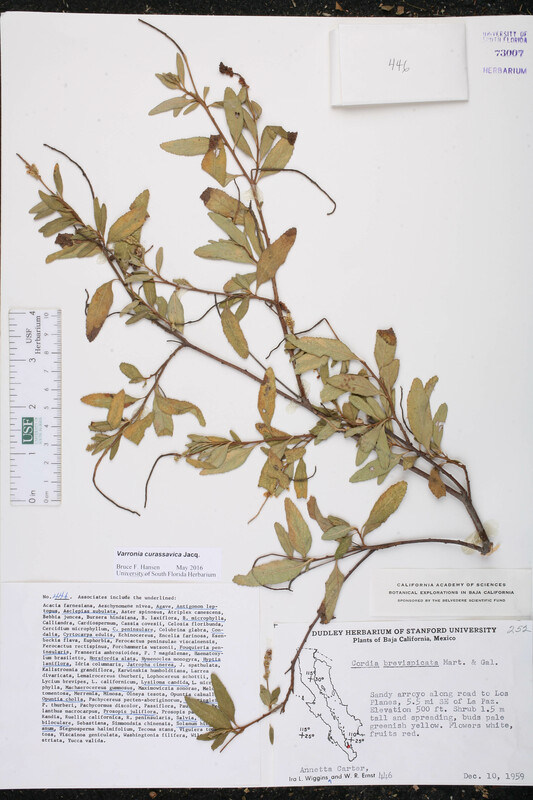 Cordia graveolens Cordia graveolens Kunth, in Humboldt et al., Nov. Gen. Sp. 3: 74. 1819. TYPE: VENEZUELA: Bolívar: Between Ferreras and Angostura, May, Humboldt & Bonpland s.n. 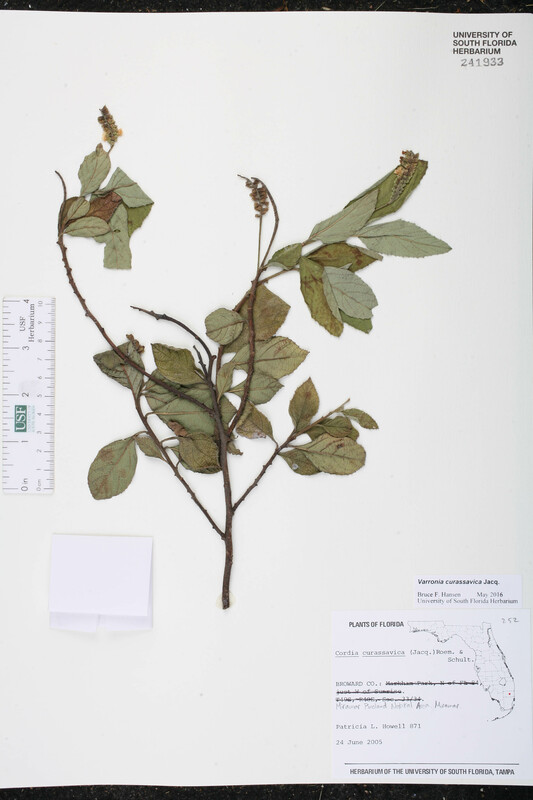 (holotype: P). 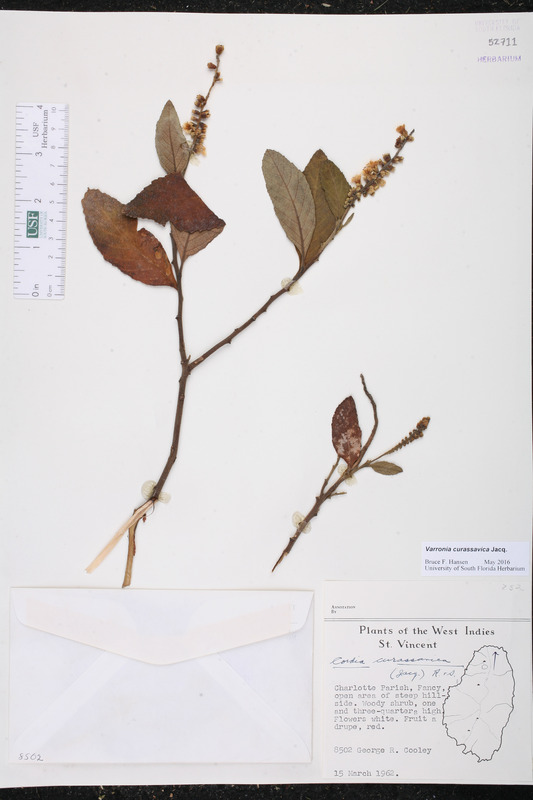 Cordia hispida Cordia hispida Bentham, Bot. Voy. Sulphur 139. 1845. TYPE: HONDURAS: Valle: Gulf of Fonseca, s.d., Sinclair s.n. (lectotype: K). Lectotypified by J. S. Miller, Ann. Missouri Bot. Gard. 75: 474. 1988. 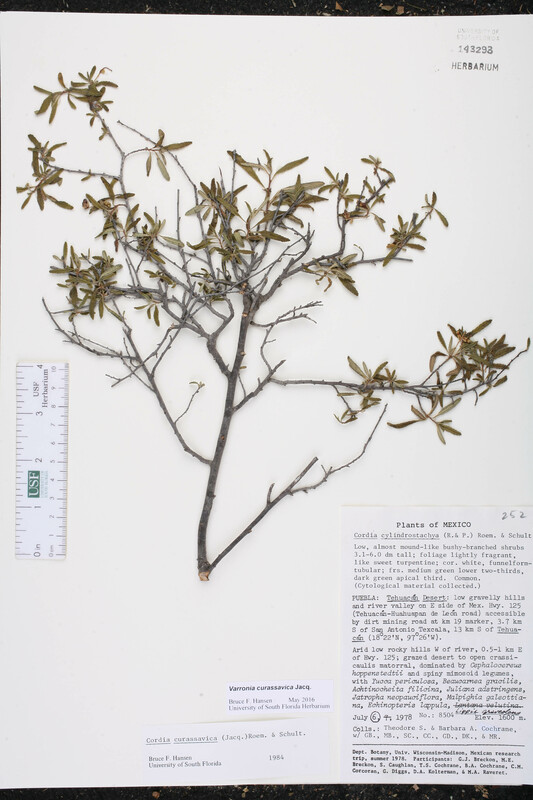 Cordia imparilis Cordia imparilis J. F. Macbride, Contr. Gray Herb. 49: 16. 1917. TYPE: MEXICO: Guerrero/Michoacán: Banio Nuevo, 1 Aug 1898, Langlassé 265 (holotype: GH; isotypes: G(2 shts), K, US). Cordia interrupta Cordia interrupta Alph. de Candolle, in de Candolle, Prodr. 9: 491. 1845. Cordia linearis Cordia linearis Alph. de Candolle, in de Candolle, Prodr. 9: 493. 1845. TYPE: MEXICO: Without data, Ruiz López & Pavón s.n. 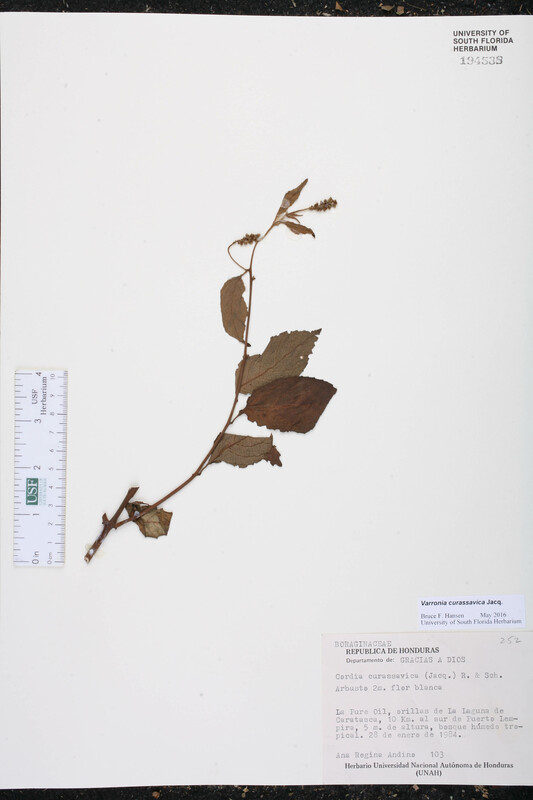 (holotype: G-DC). 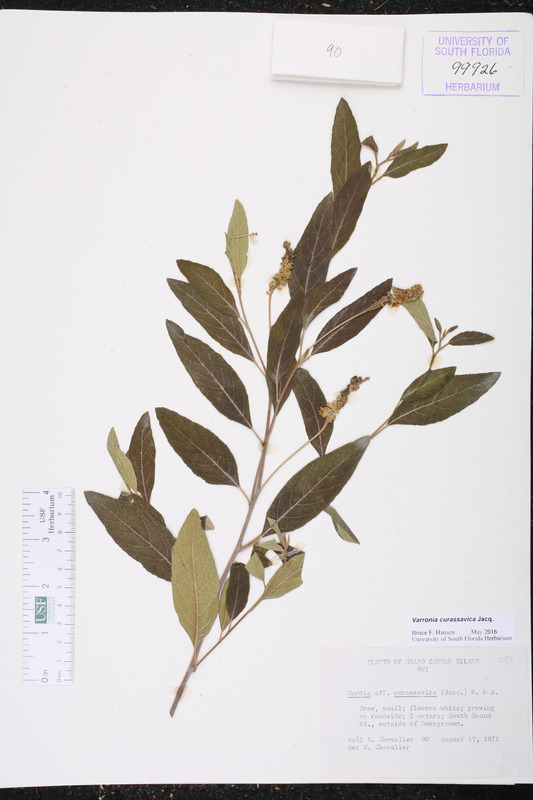 Cordia littoralis Cordia littoralis Pittier, Contr. U.S. Natl. Herb. 18: 253, f. 104. 1917. 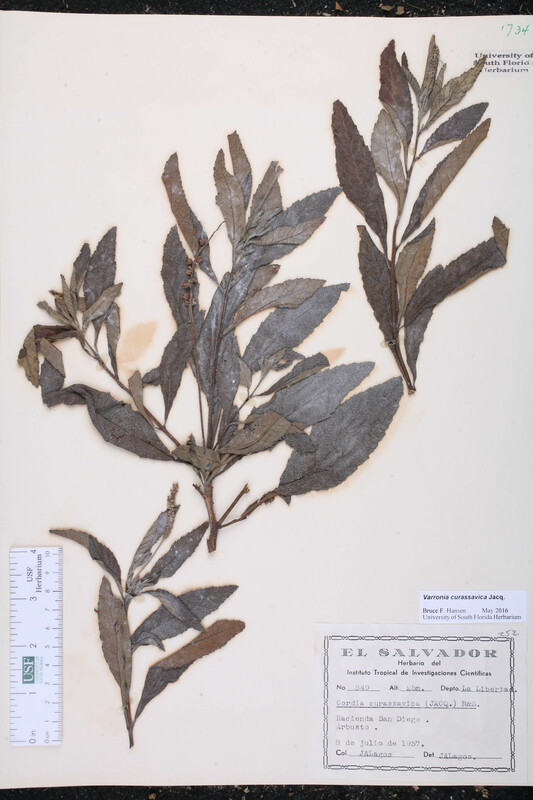 TYPE: COSTA RICA: Limón: Puerto Limón, 27 May 1911, Pittier 3641 (holotype: US). 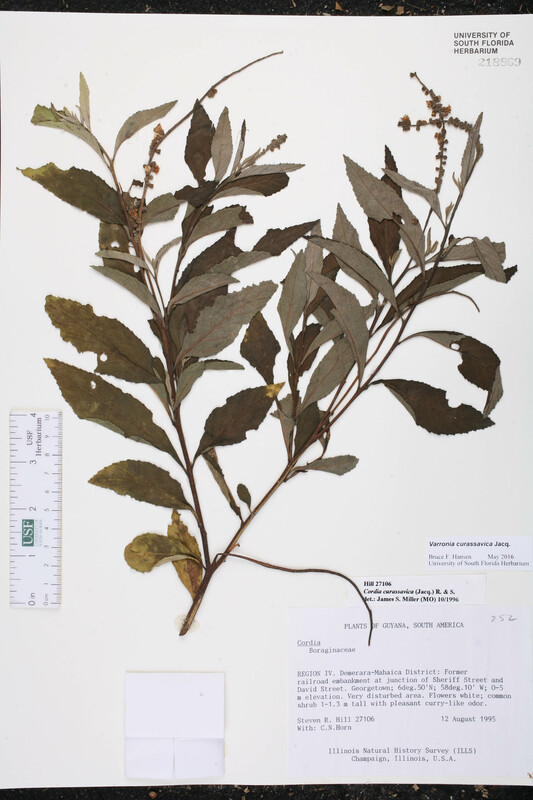 Cordia macrostachya Cordia macrostachya (Jacquin) Roemer & Schultes, Syst. Veg. 4: 461. 1819. BASIONYM: Varronia macrostachya Jacquini 1760. Cordia mollis Cordia mollis Pittier, Contr. U.S. Natl. Herb. 18: 254. 1917. TYPE: GUATEMALA: Between Chiquín and Trapiche Grande, on the road from Guatemala City to Salamá, 19 Apr 1905, Pittier 134 (holotype: US). 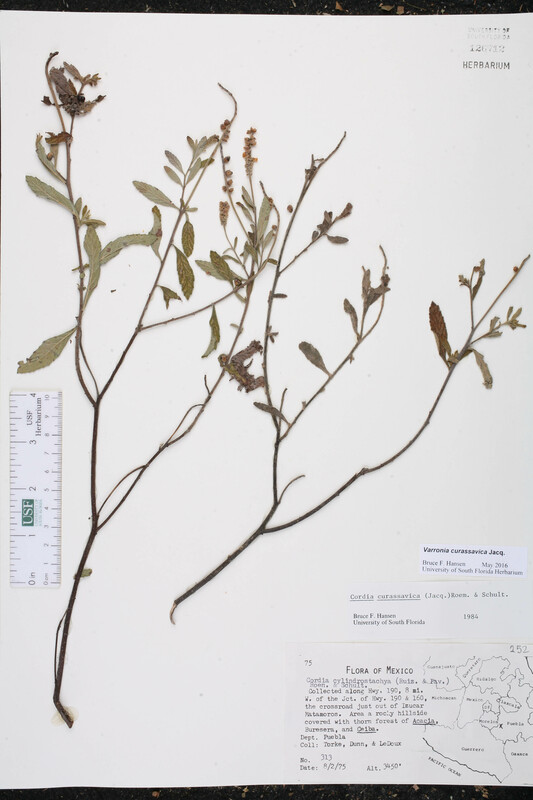 Cordia obliqua Cordia obliqua (Ruiz López & Pavón) Kunth, in Humboldt et al., Nov. Gen. Sp. 3: 74. 1819, non Willdenow 1798. BASIONYM: Varronia obliqua Ruiz López & Pavón 1799. Cordia palmeri Cordia palmeri S. Watson, Proc. Amer. Acad. Arts 24: 62. 1889. TYPE: MEXICO: Sonora: Guaymas, 1887, Palmer 281 (holotype: GH; isotypes: C, K, NY, UC, US(3 shts)). Cordia peruviana var. 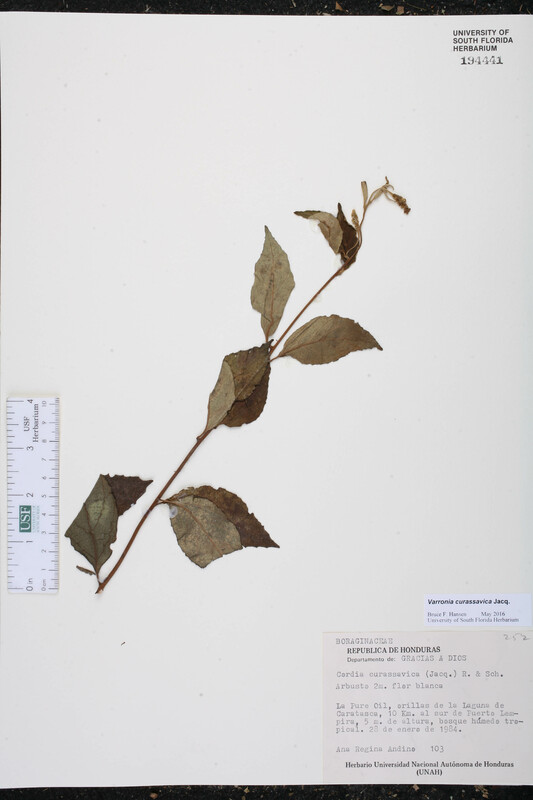 mexicana Cordia peruviana Roemer & Schultes, var. mexicana Alph. de Candolle, in de Candolle, Prodr. 9: 491. 1845. TYPE: MEXICO: Campeche: Near Campeche, s.d., Humboldt & Bonpland s.n. 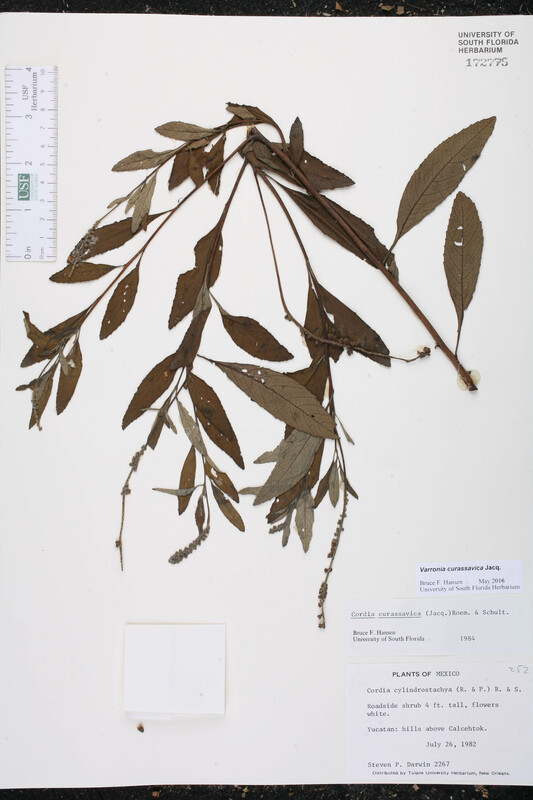 (holotype: G?). 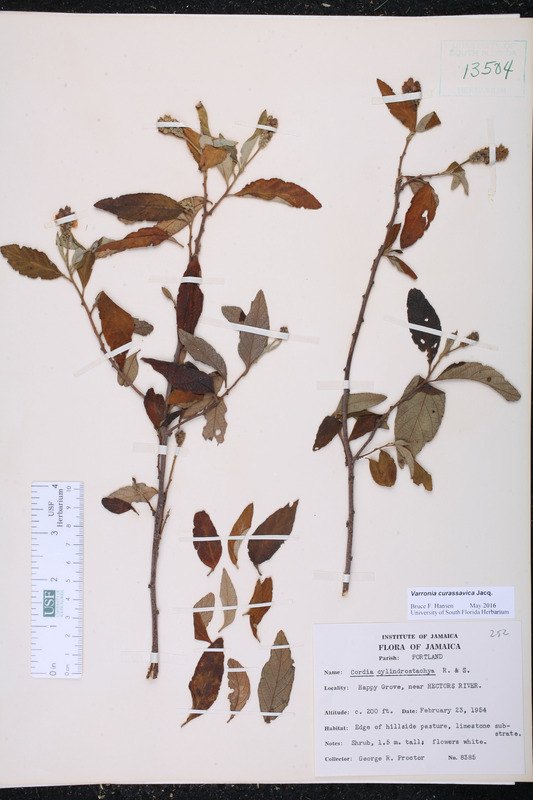 Cordia socorrensis Cordia socorrensis Brandegee, Erythea 7: 5. 1899. TYPE: MEXICO: Colima: Socorro Island, Mar-Jun 1897, Anthony 384 (holotype: UC; isotypes: CAS, F, GH, K, MEXU, MO, RSA, SD, US). Lantana bullata Lantana bullata Linnaeus, Sp. Pl. 627. 1753. 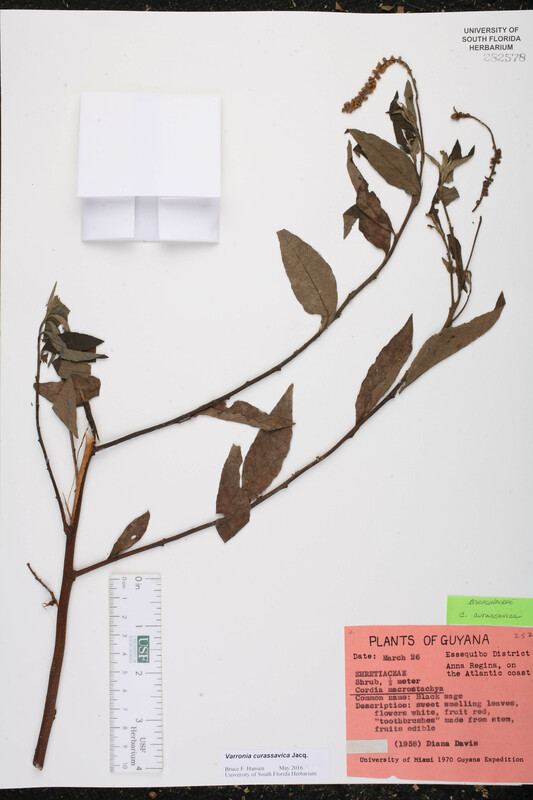 TYPE: JAMAICA: Without data (lectotype: Plukenet, Phytographia t. 221(3). 1692). Lectotypified by Gaviria, Mitt. Bot. Staatssamml. München 23: 224. 1987. Montjolya bullata Montjolya bullata (Linnaeus) Friesen, Bull. Soc. Bot. Genève, ser. 2. 24: 142. 1933. BASIONYM: Lantana bullata Linnaeus 1753. Varronia graveolens Varronia graveolens (Kunth) Borhidi, Acta Biol. Hung. 34: 391. 1988. 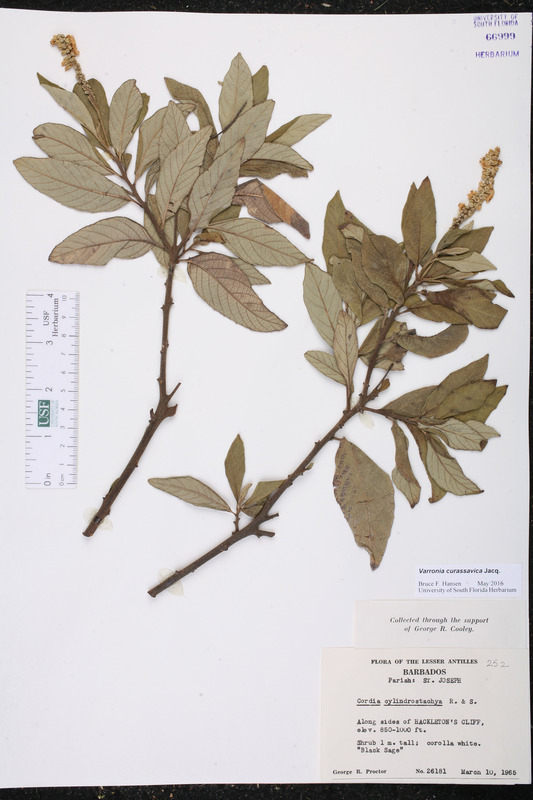 BASIONYM: Cordia graveolens Kunth 1819. 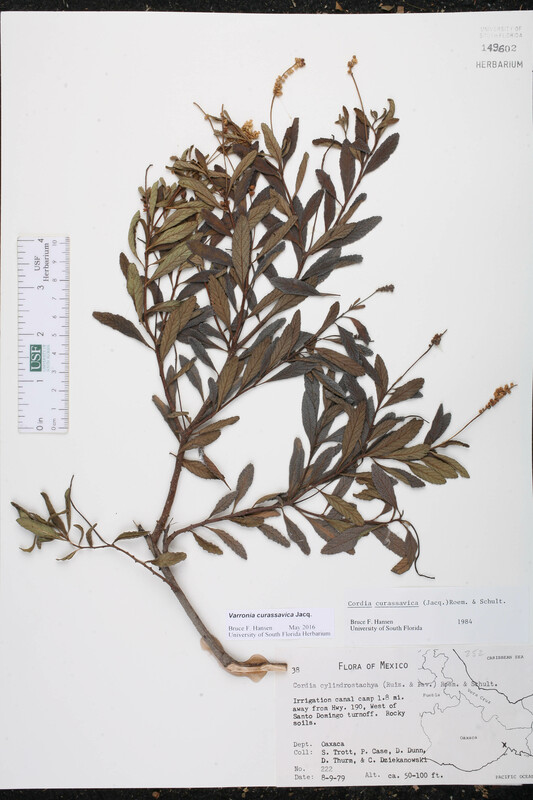 Varronia guianensis Varronia guianensis Desvaux, J. Bot. (Paris) 1: 270. 1809. Varronia hispida Varronia hispida (Bentham) Borhidi, Acta Biol. Hung. 34: 391. 1988. 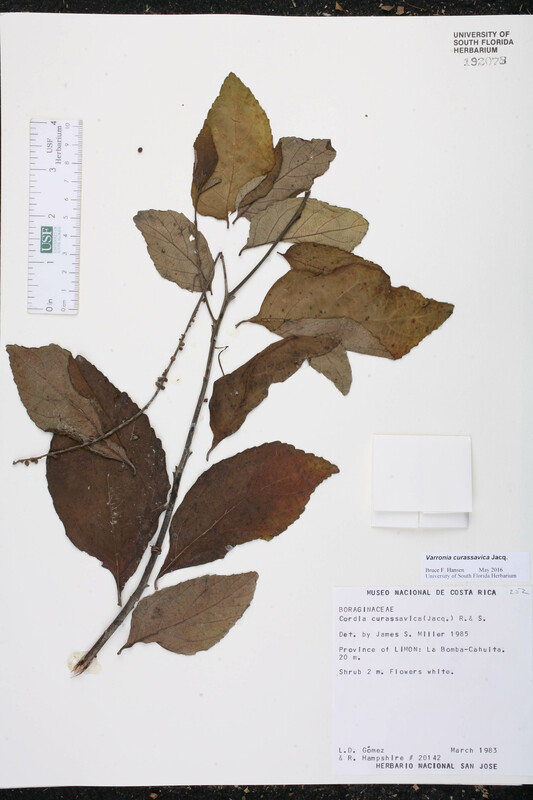 BASIONYM: Cordia hispida Bentham 1845. Varronia interrupta Varronia interrupta (Alph. de Candolle) Borhidi, Acta Biol. Hung. 34: 392. 1988. BASIONYM: Cordia interrupta Alph. de Candolle 1845. Varronia macrostachya Varronia macrostachya Jacquin, Enum. Syst. Pl. 14. 1760. Mexico Puebla 06 Jul 1978 T. S. Cochrane 8504 Cytological material collected.